Wedding stationery can often be overlooked in anyone’s budget, however they play such a prominent role in being the first glimpse of your wedding that your guests see that it’s important to get it right. There is such a wide range of stationery websites, designers, and calligraphers, that you’re sure to get something that fits within your budget and you’re proud to send out to family and friends. If you’re on a tight budget, you can find some great deals on Etsy. A lot of Etsy dealers offer a digital download allowing you to customise your design and print at home, and can be as inexpensive as £5 / $10. If you don’t have the best printer, I would advise getting these done at your local print shop to ensure the quality is as good as can be. You can also look at sites such as Minted where you can find digital and foiled invitations in the range of $200 / $300 for 100 invitations. I absolutely love calligraphy, and admire anyone who can do it! If there’s one thing I regret about my own wedding, it’s not having calligraphed envelopes. They can be quite a large additional cost but they add such a personal touch. Envelope addressing usually costs anything from £2 / $3 per envelope. Many stationery designers and calligraphers offer semi-custom invitation suites at a much lower cost. This allows you to play with your budget a bit more, and recieve something more carefully crafted in return. There are often options in the type of printing, from digital, to letterpress and foil. You can expect to pay anything from £300 / $500 for 100 digitally printed designs, up to £3000 / $4000 for an entire suite including foiling and finer paper stocks. These do usually include envelopes, but make sure to double check before purchasing! 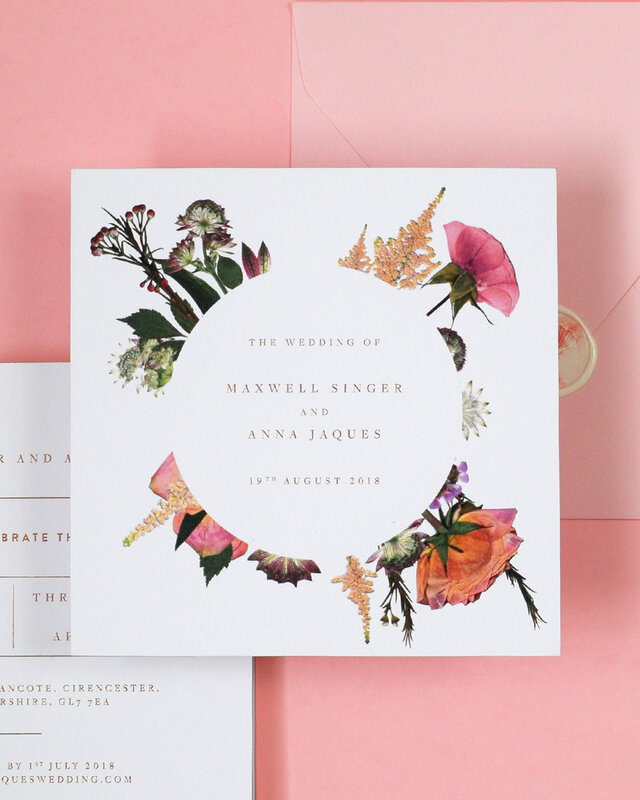 Bespoke wedding invitations are best suited to anyone who’s happy to spend a bit of extra money, along with having something totally unique to them, their wedding, and their style. As a stationery designer it’s always wonderful to work on bespoke projects, as we’re able to play with new colours and papers! Bespoke wedding stationery usually come in packages so you can choose how much pre-wedding and day-of pieces you’d like to have. Smaller packages usually start at around £350 / $500 and can be as high as £5000 / $6000 for concept and design only. Your stationery designer should discuss the printing budget with you in the early stages of design to ensure there aren’t any nasty surprises towards the end of the job!